Like a chef being conscious of their ingredients, Messermeister’s Chef Backpack keeps it eco-conscious utilizing re-purposed local billboard vinyl and recycled water bottles to produce the backpack. Not a bad touch if you ask us. 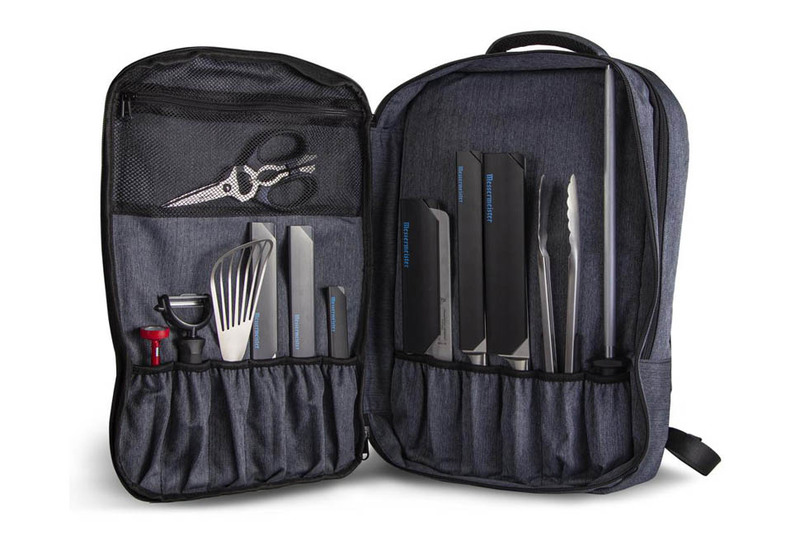 Messermeister’s uniquely designed chef backpack is equipped with 12 knife and culinary tool pockets made to fit large and small chef tools. Quick access pockets allow for easy access to your phone, wallet, headphones or Sharpie ;). And a ventilated mesh back and straps keep you dry, cool and comfortable while traveling around living the Chef Life. Next post: 2 Knives Crew Black Restocked!